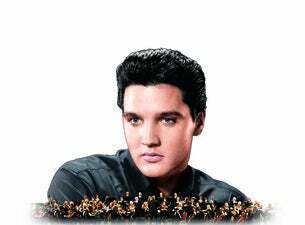 The critically acclaimed album, If I Can Dream, used archive recordings of The King's voice featuring new orchestral arrangements of some of his biggest hits to create an overwhelmingly encapsulating and enthralling album. The album gave Elvis a record-equaling 12th UK No.1 album and was his 50th to hit the UK top-10. This was the brainchild of Executive Producer Don Reedman along with Priscilla Presley. Now fans will have a chance that many have never had before – to experience the man who changed the course of popular music...the biggest selling solo artist in history (having sold an astonishing 1 billion records worldwide) – live on screen with the Royal Philharmonic Concert Orchestra performing his most well-known rock songs and his tender, heart-wrenching ballads, including songs from If I Can Dream.